When my parents cleaned out their basement, preparatory to downsizing, one of the things my dad did was to divide up his assorted weapons. I got the Winchester shotgun (I’ll have pics of that another day); one brother got the other shotgun. He got the Civil War sword and something else stabby, and I got a cane sword, a special presentation sword (that I’m still trying to track down exactly who, what, and whyffor it was presented), and a bayonet. 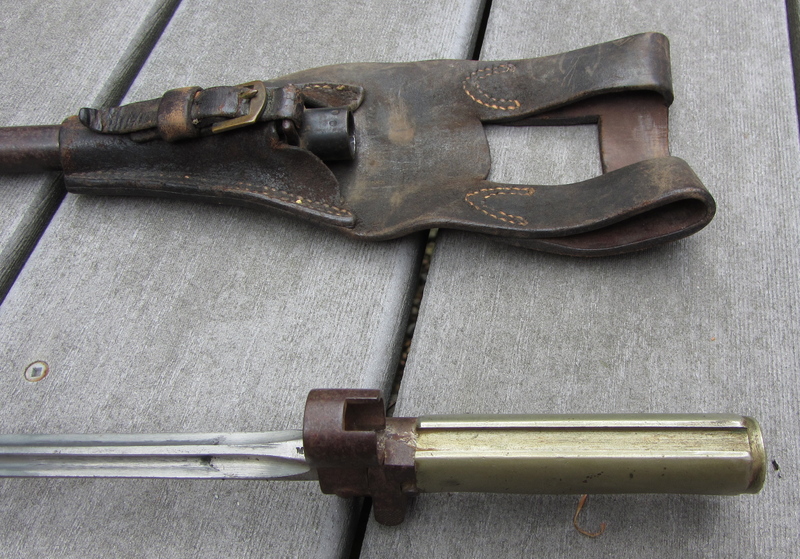 The bayonet had come from my dad’s dad, brought home from France during WWI, but beyond that, my dad didn’t know much. Now, however, thanks to Roadkill (#gbc), I know a lot more! 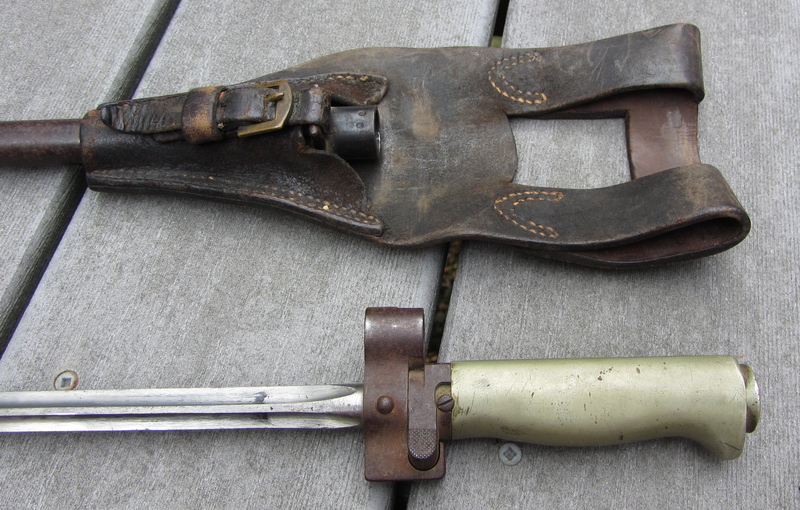 It is a French model 1886/15 bayonet with brass grips. It was made to be used on the Mle. 1886 Lebel rifle and carbine and the Mle. 1892 Berthier rifle and carbine. The cruciform blade made the wounds harder to heal. Mine does not have the hooked quillion, nor does it have a removable handle. 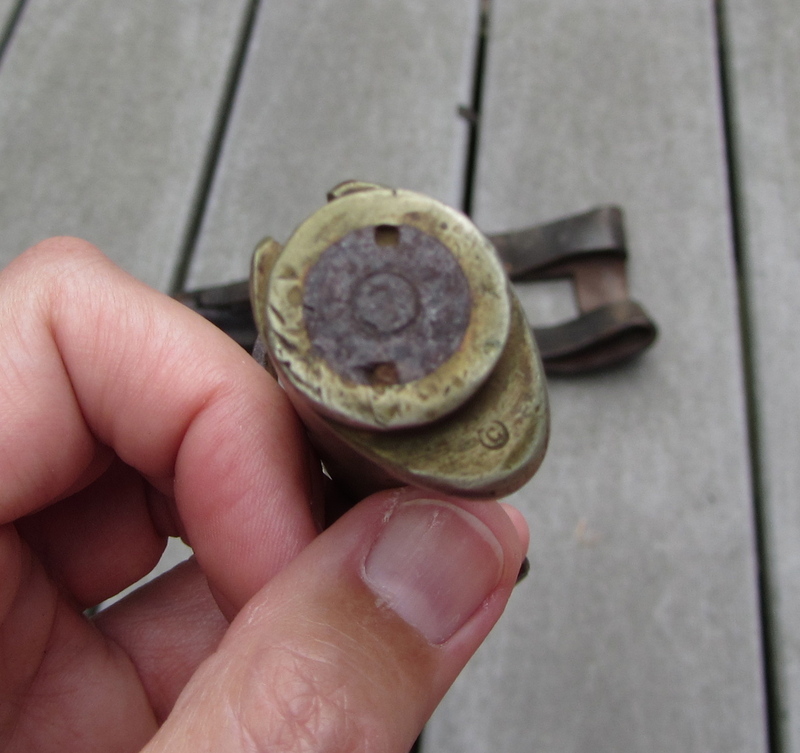 Mine also seems to lack any sort of stamp or markings on it.